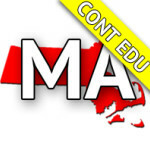 The Board of Building Regulations and Standards (BBRS) has approved continuing education requirements for licensed construction supervisors in the state of Massachusetts. Licensees who renew a license or are issued a first-time license on or after July 1, 2011 shall be expected to fully comply with education requirements following a full two-year cycle. A qualifying Construction Supervisor licensee must provide proof of completion of required hours in the appropriate category in which the licensee is licensed (Restricted, Unrestricted or Specialty). Unrestricted Licensees Need 12 Hours Every Two (2) Years; Restricted Licensees Need 10 Hours Every Two (2) Years; Specialty Contractors (Masonry, Roofing, Windows/Siding, Demolition, Insulation) Need Six (6) Hours Every Two (2) Years. Register today for this 12-Hour Continuing Education Package to fulfill the necessary requirements to renew your Construction Supervisor License (CSL)! Please Note: There is a 4-hour CEU offering for individuals who want to renew their CSL and are also qualified Lead Renovators who have received 8-hours of continuing education from the RRP course. Below are the most recent student reviews for previous MA Construction Supervisor License (CSL) Continuing Education - 12 Hours Courses. The instructor's humor, certainly takes a lot of the pain out 12 hrs of Continuing Education. I highly recommend him. Hope... The instructor's humor, certainly takes a lot of the pain out 12 hrs of Continuing Education. I highly recommend him. Hope he is still doing these classes in 2 years. The instructor was great. He spoke to us in our language because he know our trades. He gave us real life examples during... The instructor was great. He spoke to us in our language because he know our trades. He gave us real life examples during the discussions. I will happily recommend his course to my friends in our business. He obviously came up through the trades just like us so knew how to talk to us. He obviously came up through the trades just like us so knew how to talk to us. They were very professional and very intelligent. I learned a lot and they explained it to where you could understand. They were very professional and very intelligent. I learned a lot and they explained it to where you could understand. Great instructor! You always learn something new and it makes you think about how you conduct yourself on the job. Great instructor! You always learn something new and it makes you think about how you conduct yourself on the job. These guys were fabulous! This is the first time I actually enjoyed and learned during the entire 12 hours! The instructors... These guys were fabulous! This is the first time I actually enjoyed and learned during the entire 12 hours! The instructors presented in a fun atmosphere, a fully packed agenda and very thoughtfully presented. Learned much more than I expected to. The instructor was very knowledgable and easy to speak with. The instructor was very knowledgable and easy to speak with. Excellent, a great working knowledge that brings the subject matter to an everyday reality. Excellent, a great working knowledge that brings the subject matter to an everyday reality. Excellent job by both instructors. Excellent job by both instructors. Extremely informative and knowledgeable - hope to have the same trainer in 2 years! Extremely informative and knowledgeable - hope to have the same trainer in 2 years! Peter was a very good trainer. He is loaded with helpful information for contractors. I have done the online classes in the... Peter was a very good trainer. He is loaded with helpful information for contractors. I have done the online classes in the past and will only do the classroom now. Very good instructor he covered all the pertinent information in a timely manner. Very good instructor he covered all the pertinent information in a timely manner. Highly recommend to others. I have taken other classes elsewhere but found this much better. More informative and more enjoyable. Highly recommend to others. I have taken other classes elsewhere but found this much better. More informative and more enjoyable. Peter from LeadSMART did an excellent job. He was on point with topic delivery, had supplemental instructors and the syllabus... Peter from LeadSMART did an excellent job. He was on point with topic delivery, had supplemental instructors and the syllabus was wide ranging which was valuable for continuing education. The lunches served were excellent as well. Very informative. The speakers actually made it interesting. Very informative. The speakers actually made it interesting. I totally enjoy this class. This is the second time that I have selected to take this class. The instructor keeps it fun... I totally enjoy this class. This is the second time that I have selected to take this class. The instructor keeps it fun and interesting in a way the relates to every one and keeps everyone’s attention. I enjoyed the class it was very informative and he was very entertaining. I enjoyed the class it was very informative and he was very entertaining. All in all, this was a valuable course to have taken. It started on time, it was well organized, and an easy drive; even... All in all, this was a valuable course to have taken. It started on time, it was well organized, and an easy drive; even the lunch was good. I'm glad I signed up. It’s good to get caught up to speed on things. A lot of times we get caught doing things and treating things the way we were... It’s good to get caught up to speed on things. A lot of times we get caught doing things and treating things the way we were taught and learned years ago. Very informative class, highly knowledgeable instructors. Very informative class, highly knowledgeable instructors. Great class keep it interesting and liked the class participation. Great class keep it interesting and liked the class participation. I have to really say I was never bored for not even a minute the subjects were well defined and to understand. Peter Lawton... I have to really say I was never bored for not even a minute the subjects were well defined and to understand. Peter Lawton was excellent! I wouldn't hesitate to return to classes again or to recommend LeadSMART to anyone -- five star! Instructor was very informative and kept class interesting. Instructor was very informative and kept class interesting. The class was actually very interesting. I will definitely use your classes again. The class was actually very interesting. I will definitely use your classes again. Peter was a good fit. He was down to earth, unpretentious and engaging. He had a great knowledge of the topics and the newest... Peter was a good fit. He was down to earth, unpretentious and engaging. He had a great knowledge of the topics and the newest changes to the Mass building and energy codes. I would definitely go back to his class again. Good to have an instructor from in the trade. Good to have an instructor from in the trade. Peter is a great instructor. He is well informed and not boring. Peter is a great instructor. He is well informed and not boring. Peter does a great job presenting the material and using his industry experience he brings it in both interestingly and informative.... Peter does a great job presenting the material and using his industry experience he brings it in both interestingly and informative. Although I have been a CSL holder since it's inception and a contractor for over forty years I always learn something new. Also enjoyed Ben Mitchell's presentation. Very informative; great instructors! Very informative; great instructors! I thought the trainer did a good job of presenting the material and keeping the attention of the class. The material present,... I thought the trainer did a good job of presenting the material and keeping the attention of the class. The material present, due to the requirements, is not the most entertaining material to teach but the teacher managed to do it in a way that kept everyone engaged. The next time I need continuing education credits I will most definitely take this course again. Great class...discussed real world activities/situations. Great class...discussed real world activities/situations. Overall experience was very good. Class was interesting and it kept everyone engaged. Things moved along at a good pace.... Overall experience was very good. Class was interesting and it kept everyone engaged. Things moved along at a good pace. The instruction had a good grasp of the subject matter and presented it well. The class was very informative and interesting maintaining my attention throughout. The class was very informative and interesting maintaining my attention throughout. I thought the instructor was very knowledgable and an interesting speaker. I thought the instructor was very knowledgable and an interesting speaker. Thank you, it was the best training! Thank you, it was the best training! Very professional and highly educational. Very professional and highly educational. The classes were well prepared with handouts. The presentation was well thought out and delivered. You could tell Peter knows... The classes were well prepared with handouts. The presentation was well thought out and delivered. You could tell Peter knows his stuff. I will attend his class again in 2 years. It was def a 5 star experience. Peters teaching style is very understandable and real life applications because of his previous... It was def a 5 star experience. Peters teaching style is very understandable and real life applications because of his previous field experience and business ownership . I will highly recommend him / lead smart. Thank you for giving me an opportunity to do this survey. Peter is a tremendous asset to Lead Smart !!!!! Great day !